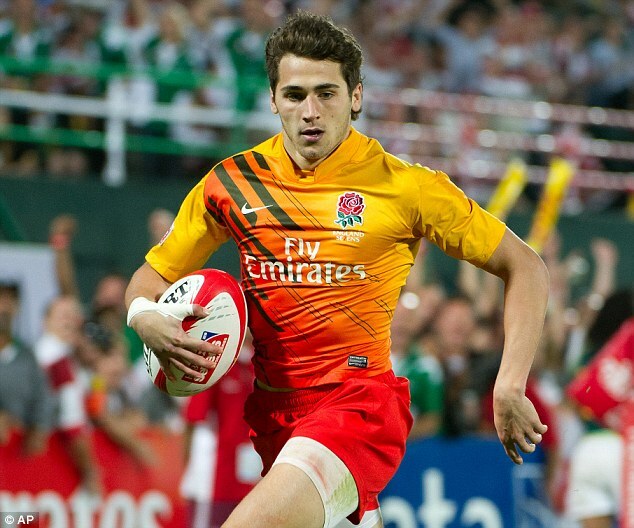 England Rugby has a long history of pushing the boundaries when it comes to Sevens jerseys – after all, it was they who gave us the famous ‘Tequila Sunrise‘ shirt that effectively kicked off the wild Sevens shirt arms race. Indeed, they’ve kept that trend up in recent years with some very striking ‘turbine’ designs, but the 2018 vintage is a little more on the restrained side – yet still very much a sevens shirt. The home design pairs a classic white base jersey with a striking lattice pattern that covers the entire shirt front and back – we get striking red lattice on the sleeve and a more demure grey on the body. It’s classy, tasteful even, yet it’s still the sort of thing that you’d never see the 15-a-side team wearing to run out at Twickenham, so feels suitably Sevens-y as a result. The change shirt, on the flipside, is much more in eye-catching and unusual – keeping the same basic template but mixing things up on the colour side. So, we have a stealthy black jersey as the foundation here, with the body mesh resplendent in bright red, though instead of another colour on the sleeves we have a more demure tonal mesh. The neon accent trend isn’t something that seems to be going anywhere in the sporting apparel world, and so it’s no surprising to see a splash of neon yellow added in the shape of the Canterbury logo, and in the strengthening tape on the new Loop collar. England Sevens jerseys have rarely disappointed over the years, and while their desire to push the boundaries has on occasion seen things go a bit mad, this pair of shirts hits a nice balance between the traditional and the attention-grabbing.